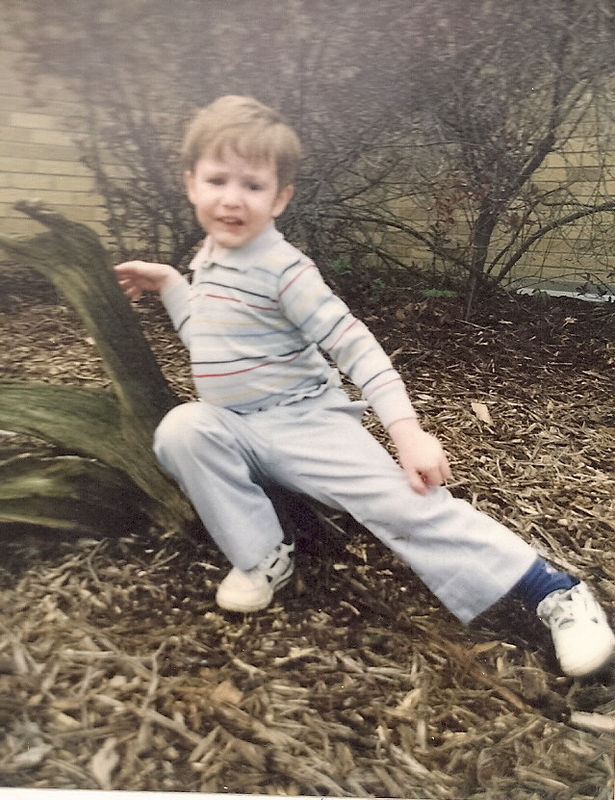 When Will was four, an alphabet soup of diagnoses followed his name: SLI (speech and language impaired), SID (sensory integration disorder), FMI & GMI (fine and gross motor impairment), BI (behaviorally impaired), MI (mentally impaired), etc. Amazingly, he did not fit the profile for ADD or ADHD. Acronyms had to be used in part because there was not enough room to type his diagnoses on the Individual Education Plan Forms. At seven, AI (Autistic Impaired) was added by Dr. Smith, a child psychiatrist specializing in developmental disorders. Eight weeks before our visit with Dr. Smith, a thick packet of paper arrived in the mail. Half of the papers were Authorization for Release of Information forms. I was instructed to sign and date the forms and return them, along with a list of all the doctors, therapists, and schools involved with Will’s care. The other half was a Parent Reporting Form. The first page consisted of demographic questions (Name, date of birth, address, parents’ name, etc.). The second part of the form was a long list, with instructions to check off the items that pertained to Will. The items on the list varied from the mundane (preterm birth, full term birth, weight at birth, ethnic background, 1st language, etc.) to those which identified characteristics due to developmental differences. Unusual fixation or fascination with objects – Will was utterly fascinated from a very early age with lights. When he was a baby, he would twist himself around in his high chair to to view the lights through his half-shut eyes, looking through his eyelashes. I worried at the time that he might do psychedelic drugs when he was older. Later, when he could actually reach light switches, he turned them on and off constantly. It was like a disco at our house. We moved the furniture away from light switches. That helped until he was tall enough to reach the light switches. He made it his business to find out where the light switches were in every building he entered. When he was three years old, he escaped from the nursery at church and found the light switches to the sanctuary. The lights flashed on and off during the Sunday School class. A deacon came out to discover a giggling three year old playing with the light switches. After that, they made sure the doors to that bank of switches was always closed. Lack of eye contact or qualitative difference in eye contact. Will not only had very fleeting, if any, eye contact; he actively resisted efforts to encourage or force eye contact. My mother would hold his face in an effort to get him to look at her when he was naughty. It was futile. Once, when we were talking to his preschool teacher when he was eight years old, he twisted his body in all different directions to avoid making eye contact. We instructed him in eye contact and practiced it. He eventually made eye contact with his father and me, but nobody else. He could read our faces, but he had extreme difficulty reading the faces of strangers. We found that forcing eye contact completely obliterated his ability to listen, so when we needed to emphasize behavior changes, such as not running across the street, we sat next to him and talked to him. Sensory differences. Did I say lights? Also, he was highly sensitive to touch. He was extremely ticklish. He couldn’t stand any tags in his clothing, and he did not want to wear knit clothing. One of his therapies was brushing him down with a soft brush to improve his tolerance to touch. Impaired social interaction. He could not initiate and/or maintain interaction with children his own age. He had extreme difficulty making friends. He screamed if any of them came near him. As a result, he was very isolated. Constant talking. He could talk all day about Power Rangers long, long after I had lost interest in the subject. Later it was video games. And still later, it was computers. Insistence on sameness. He always had to have the green plate, the green glass, the green toys. He would wear green clothing if he had the choice. We often gave him the choice because we had other battles to fight. He became upset if we took a different route to church or the store. Difficulty transitioning from one activity to the next. Will would scream if it was time to change activities before he was ready. Changing from story time to outside recess was especially problematic. Perseverative behavior. Will would open and shut doors over and over again. We had to put spring loaded latches on all the doors in the house because we were afraid that Will would shut his sisters’ fingers in the door. Articulation difficulty. Will was difficult to understand. High pitched and sing-song voice. Will’s voice was very high pitched. He also talked in a sing-song tone of voice. His inflection was off. In American English, the pitch of the voice typically rises at the end of a question and goes down at the end of a statement. Will’s sing-song inflection affected his intelligibility. Gross motor delays and hand eye coordination. Will couldn’t bounce a basketball. He never learned to ride a bike. Fine motor delays. As a result of his fine motor delays, Will took much longer to learn to tie his shoes and cut his own food. His writing was labored, slow, and very difficult to read. The last part of the Parent Reporting Form consisted of several essay questions. Do any other members of Will’s family have developmental issues? Describe a typical day in the life of your child. Do you have any other concerns about your child? I spent three hours checking items on the list, and writing out the answers to the essay questions. Toward the end, tears rolled down my cheeks. On one hand, it had taken three years to get approval from our insurance company to have Will evaluated by Dr. Smith. On the other hand, I felt that I was betraying my son by telling the truth about him. Because I loved him with all my heart, I wrote the truth, unadorned. Then I sent the whole packet back to the doctor. Within 20 minutes, Dr. Smith diagnosed Will with extremely high functioning autism (HFA). Every year I had to check off a list of characteristics and write answers to essay questions to prove that he still qualified for autistic impaired services. Every three years, I had to fill out a more extensive list. I filled out lists like this for his sister as well. Sometimes I felt very discouraged. Will is an adult now. He still has autism, but I no longer fill out any lists or write short essays. I have always believed God has a plan for him – that is our encouragement to him and to ourselves. He has a very good job as a web design consultant for a large corporation. He cooks, drives, and keeps his apartment reasonably clean. All the checklists and essay questions were worthwhile. Truth telling, unadorned, turned out to be for the best. Thanks so much for the encouraging testimony! I should mention that Will has gone way beyond making eye contact with his father and me. He interacts with people at work. He is accepted at his church and in other contexts.